I am proud to welcome patients to a practice where caring and compassion combine with education and experience to provide the best care possible. My philosophy of service to the patient along with the support of a hand-picked knowledgeable team creates an excellence in both patient care and clinical results.” Dr. Ghuman is a graduate of Ross University Medical School. She obtained her internal medicine and hematology/oncology training at Newark Beth Israel Medical Center. She is board certified in both oncology and hematology. 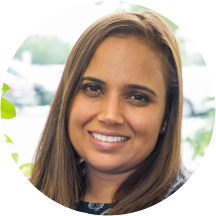 Dr. Ghuman has served the community for over 6 years as a hematologist/oncologist in both Bayonne and Jersey City and is well known for her excellent care on a personal and professional level. Dr. Ghuman will continue to serve the community and continue to be a patient advocate. When I said nice to meet you the reply wasn't that warm.